It would be nice to say that I have a Tandoor in my kitchen where I cook chicken and Naan bread at 800F but sadly (or maybe thankfully) this is not true. It's a case of turn up the heat in the oven and hope for the best! 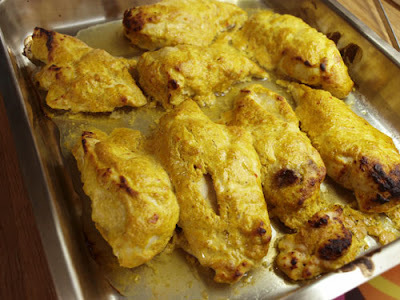 This is what the chicken looked like once cooked, it was delicious and very tender. Guess what? It's another excuse to use some of the Total Greek Yogurt! 1. 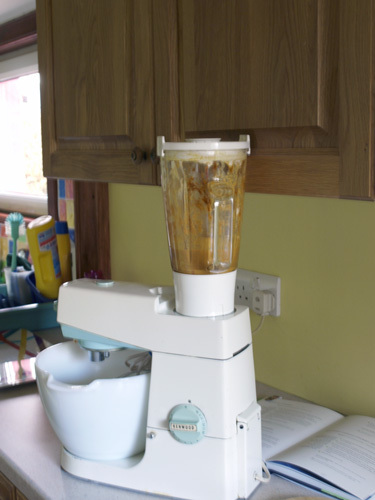 Blend the first eight ingredients together in an electric blender, adding a little of the yogurt if the mixture is too thick to blend. While we are blending, I thought I would show you my vintage Kenwood Chef, with original white pyrex mixing bowl and blending jug! It was bought new by my MIL and I have inherited it. Don't use it as much as I probably should, but it is a mean blender! 2. Stir the rest of the yogurt in thoroughly to combine. Coat all the chicken pieces and arrange them in a roasting dish. 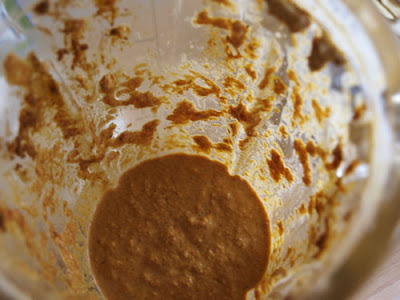 If possible, cover and levae in a cool place to marinate for a few hours. 3. 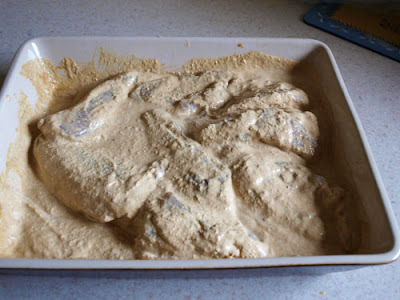 Arrange the chicken on a solid baking tray, and roast in a preheated oven, 200C/400F/Gas 6, uncovered, for 25-30 minutes or until the chiken is cooked through and the juices run clear (the breasts may cook more quickly than the thighs, in which case remove them and keep warm). 4. Serve the chicken with the lemon wedges. 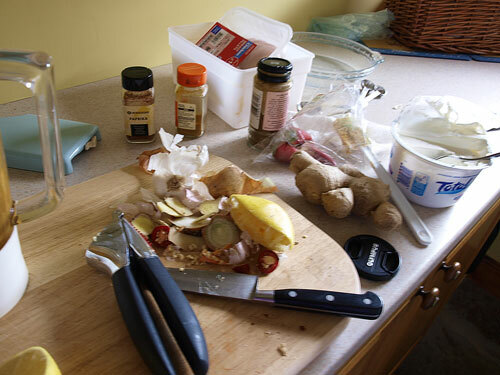 Just in case you were under the misapprehension that I am a tidy cook, I thought I'd show you my chopping board! 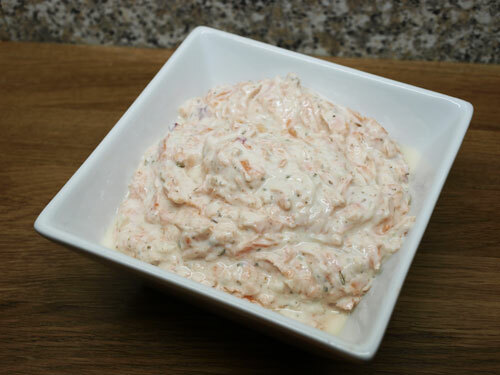 I served the Tandoori Chicken with rice, naan bread, salad and a carrot raita (see below). I have heard of Tandoori chicken but have never tasted it. 700 degrees F??? I don't think my oven even goes that high! It sure does look delicious! ummm! I had to go back and look to see if I had made a typo, Lorraine. It's 400F, it would be burnt offerings at 700F!!! great one!! ..but 700F. That one awesome oven! Have I mentioned how much I love my new oven?